I rate the whole team a 12 out of 10! Team Firnstahl knows how to stand by you and best represent you and your needs. 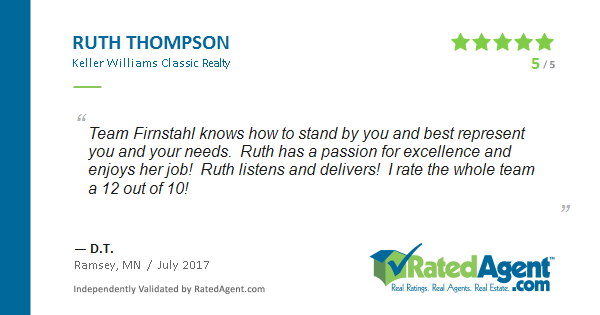 Ruth has a passion for excellence and enjoys her job! Ruth listens and delivers! I rate the whole team a 12 out of 10!